The current special issue of Technology and Innovation, is devoted to patents that benefit people around the world who live with limited resources, in challenging environments, and are in need of better access to basic needs and improved standards of living, health and infrastructure. In a lead-off editorial Edward Elliott, Attorney Advisor at the United States Patent and Trademark Office (USPTO), wrote, "The great challenge of the 21st century is in extending the benefits of modern technology to the less fortunate around the world." According to Elliott, universities, forces for socially conscious actions that benefit humanity, occupy a central role in the innovation system not only by developing new and beneficial technologies, but also by commercializing them through technology transfer. Three Patents for Humanity winners detail their technologies in the issue. SIGN Fracture Care International's technology is a patented method for treating fractures without needing access to electricity. Researchers at the University of California, Berkeley engineered a yeast strain from the Artemisia plant in making a critical anti-malarial drug, their award-winning technology. 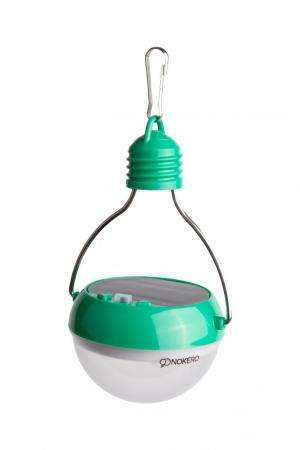 Nokero's award-winning patented light bulb uses solar energy to provide light in areas of energy poverty. "We are delighted to be showcasing the USPTO's Patents for Humanity competition in this issue," said Dr. Paul R. Sanberg, Editor-in-Chief of Technology and Innovation and AAAS-Lemelson Invention Ambassador. "The inventors featured here are making a real difference in the world." The final article, from the Erlanger Institute, discusses developing new pathways for clinical research in the "changing environment of the 21st century" and how increasingly high costs of clinical research and financial support for research have opened the door for industry-sponsored research. Elliott's editorial also outlines the results of the Patents for Humanity awards. The program kicked-off in 2012 and attracted 81 applications. Universities contributed to a large number of applications, with about 10% from universities directly and another 67% from university-related categories (individuals and small companies, including university researchers and startups). In April 2013, the program's inaugural awards were given to ten winners in five categories: Medicines and Vaccines; Medical Diagnostics and Devices; Food and Nutrition; Clean Technology; and Information Technology. Renewed in 2014 by the White House, the annual Patents for Humanity awards competition is underway with five new categories: Medicine; Nutrition; Sanitation; Household Energy; and Living Standards. "For more than two hundred years, patents have provided the engine for technological and economic progress in industrialized nations, with universities supplying much of the fuel through basic research," concluded Elliott in his editorial. "As we strive to bring the benefits of modern technology to the next billion of humanity, patents continue to play an essential role in creating lasting solutions."